The most flexible and high performance multi-mode camera for today HD LCD direct viewing. 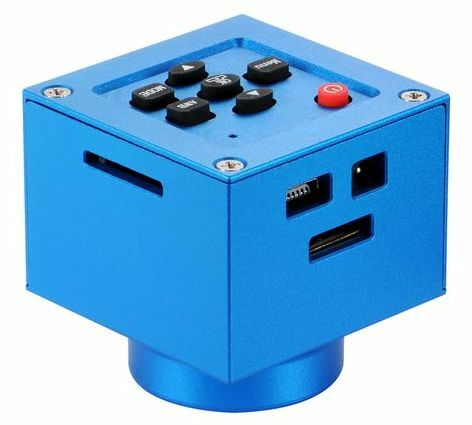 1080p HD for direct viewing on LCD screen without a computer, built in micro SD for capturing image and video with one touch button. 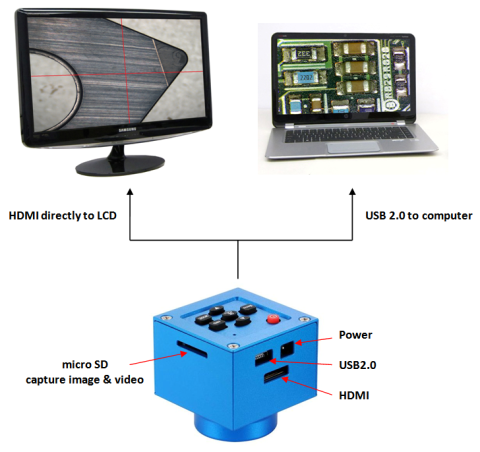 Connect to computer USB 2.0 if one decides to view & capture through computer, as well as perform measurement functions with measurement software run on Windows.